A quality two bedroom, top floor apartment which benefits from central heating and double glazing. 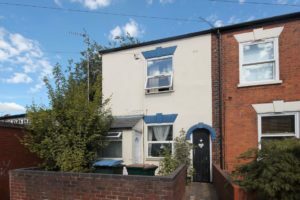 This property has good links to motorway networks and easy access to the city centre. Comprising of a huge lounge/diner with fully fitted kitchen off that has a fridge, freezer, washer/dryer, oven and gas hob. The large master bedroom has the convenience of an en-suite shower room, the second bedroom is of good proportions and there is a family bathroom with white suite. Further benefits allocated parking and secure entrance system.